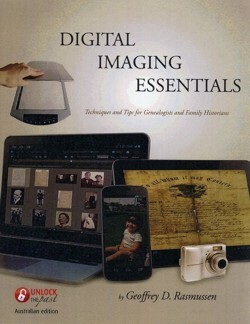 ‘Digital Imaging Essentials: Techniques and Tips for Genealogists and Family Historians’ is a brand new book that will hit the shelves shortly, and will no doubt make it under many Christmas Trees this year as well. Written by Geoff Rasmussen, who is not only the developer of the Legacy Family Tree genealogy program, but also a well-known author, speaker and webinar-presenter. This is the PERFECT book for learning about what to do, and what not to do with your digtal images. This encompasses your digital photos, as well as the photos and documents you scan. This 150 page book tells you all about resolution and file formats, and says why you should use some for some things, and others for others. Starting right from the beginning, it teaches you how to get your photos off of your camera, and into a photo editing program like Picasa or Photoshop Essentials. How to edit them, how to save your photos in a ‘long-term’ format, how to organise your collection, and how to share them too. And what would you do if you had a hard-disk crash, or you had your computer stolen, or was damaged in a fire? No-one wants to think of disasters, but you need to, as so often being digital and on your computer, that is the only place they are stored. ‘Digital Imaging Essentials’ discusses backup strategies. Can you imagine those documents and photos that you copied while overseas visiting relatives – not to mention all the holiday pics?? ARRRGH. So think ahead and ensure that your images will be safe in the event of a catastrophe. 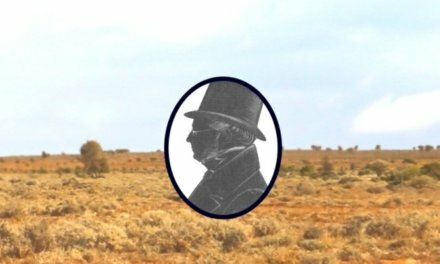 Thanks to Unlock the Past, Australians who are after a copy of the book will be able to get it without paying the earth for freight. They have been given the rights to reproduce ‘Digital Imaging Essentials’ here in Australia, which means we not only save massively on freight and import costs, but also makes it quicker for everyone to get a copy before Christmas. This edition will be a copy of the original book, with the text being adapted for Australians. Now available for pre-order, we expect supplies around the middle of December 2012. A download version will be coming soon. Priced at $34.95, with a introductory price of $29.95 (+$7.95 postage within Australia), pre-order your copy today.